Change Agent Chat Series: Click here to listen to CIVHC CMO, Jay Want, MD, and SHG’s Integrated Care Director, Jackie Brown, RN, MSN, APN discuss Tipping Point during February’s Change Agent Chat. 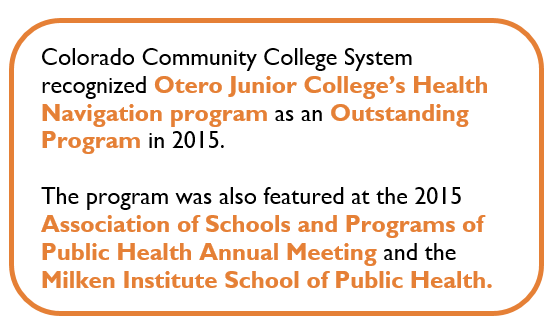 In 2014, CIVHC featured Southeast Health Group’s (SHG) Tipping Point program as the February Spotlight on Innovation. 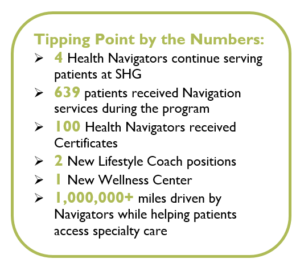 SHG was two years into a three-year, $1.4 million award from the Centers for Medicare and Medicaid Innovation (CMMI) to develop the integrated care program, Total Integration, Patient Navigation and Provider Training Project (Tipping Point). The program implemented Health Navigators to identify high-risk patients, educate them about their health, and empower them to manage their situations. 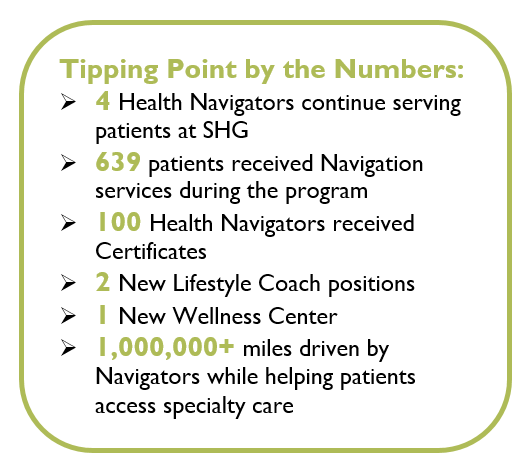 The Navigators helped patients address socioeconomic concerns such as transportation to medical appointments and nutrition, while helping to build personal social support systems for these potentially isolated individuals. 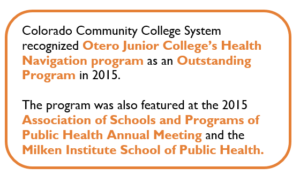 To help grow the Health Navigator workforce, SHG partnered with Otero Junior College to offer a one-year Community Health Worker Certificate and a two-year Associates of Applied Science. Navigators learned to conduct Healthy Living classes based on the Stanford Model of Chronic Disease Management, which taught patient how to control their conditions and establish goals for their health. Though Tipping Point may have ended, SHG has retained many of the best practices established during the program. Four Health Navigators provide care coordination to eligible Medicaid members and teach the Healthy Living classes. Peer Specialists help patients with their transportation needs, sometimes driving them all the way to Denver to see a specialist. The lessons learned during Tipping Point led SHG to re-evaluate how they provided primary care. “It is important to note that the highest cost patients usually have a combination of co-occurring chronic physical and behavioral health problems,” explains King “and these patients are often “fired” by their Primary Care Provider (PCP) for some form of non-compliance.” As a result of their experiences trying to connect complex patients with willing PCPs, SHG launched its own integrated primary care practice on-site at the behavioral health center, thereby ensuring that these complex and vulnerable patients receive ample time with PCPs as well as care coordination and health education. 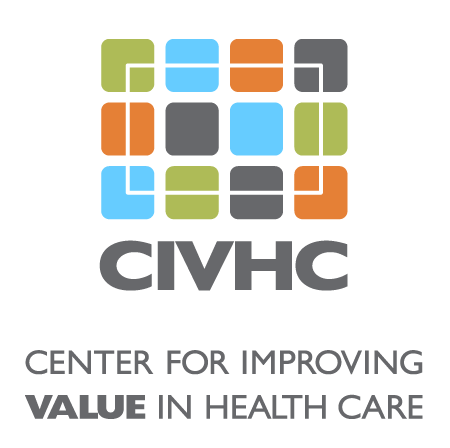 SHG is grateful to CMMI for the award, as it helped local residents, provided living-wage jobs for the community, and developed a workforce education program that continues to thrive.